While specific details of Apple’s iPhone 6 remain largely scanty, the next generation smartphone from a company that revolutionized the smartphone world is one of the most anticipated new products this year. There have been slow drips of rumors here and there and I managed to catch a few. In this post, I’ll share with you a few things I’ve ‘heard’ so far. But first, why is the iPhone 6 so much anticipated? Without a doubt, this coming iteration of the much-loved smartphone from Apple could very much determine the future of the iPhone, not to mention that of the company itself, at least the near future. 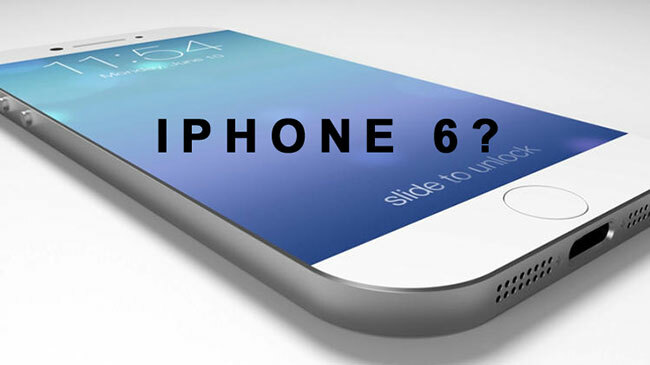 So it’s understandable that there would be a lot of attention and rumors about the iPhone 6 project. It’s also easy to see why Apple would like to keep its flagship smartphone project refreshed more than any other of its premium products. Enough about the forecasting and the economics; it’s time we got to the meat of this post. Here’s what my snooping cameras have seen and heard about the impending iPhone 6. The vast majority of ‘rumors’ circulating online point to a brand new metal shell with slightly more rounded corners and thinner depth overall. So far, no leak has discussed the size and appearance of the bezel around the screen. Speaking of the screen, the size is expected to be a bigger 4.7-inch. While there have been insinuations of a bigger 5.5-inch screen, it appears that we’re more likely to see a 4.7-inch iPhone 6. This shouldn’t be a rumor really as it is already known that Apple, along with GT Advanced, opened a facility in Mesa, Arizona that will be manufacturing crystal sapphire components and related products. Various credible sources have speculated that this was in Apple’s future plans of equipping future iPhones with crystal sapphire screens. Chances are good that this next iteration of the iPhone will feature a scratch-resistant sapphire crystal screen. Moreover, scratch-resistant technology is not really new to Apple as it is already featured in the iPhone 5S’ fingerprint sensor. One reliable source of pre-release news from Apple suggested a sharper 1704×960 resolution for the iPhone 6. Fortunately, this increased resolution does not impose additional work for app developers to make their apps work smoothly on larger displays. Screen size is a crucial aspect for app developers because it minimizes the fragmentation of resolution screen sizes and display, something that has been troublesome for app developers in the past. There are a bunch of software upgrades and new features expected to ship with iOS8 including a native healthcare app that will provide health tracking for things like blood pressure metrics, heart rate, and fitness tracking, among other things. Also, Siri is likely to get an upgrade and may now be able to recognize songs. The touch ID software is also expected to be improved based on the improvements it received in the iOS 7.1.1 update. The new wireless network standard 802.11ac is said to be capable of speeds of up to 1 Gigabit per second. Thankfully for all you iPhone diehards out there, there are strong suggestions that the iPhone 6 will support this new wireless standard. All said and done, we continue to eagerly await the arrival of the next iPhone iteration expected around September or a month earlier. Hopefully, we’ll get a much clearer and more concrete idea of what will come with the new phone come early June at Apple’s annual World Wide Developer’s Conference.